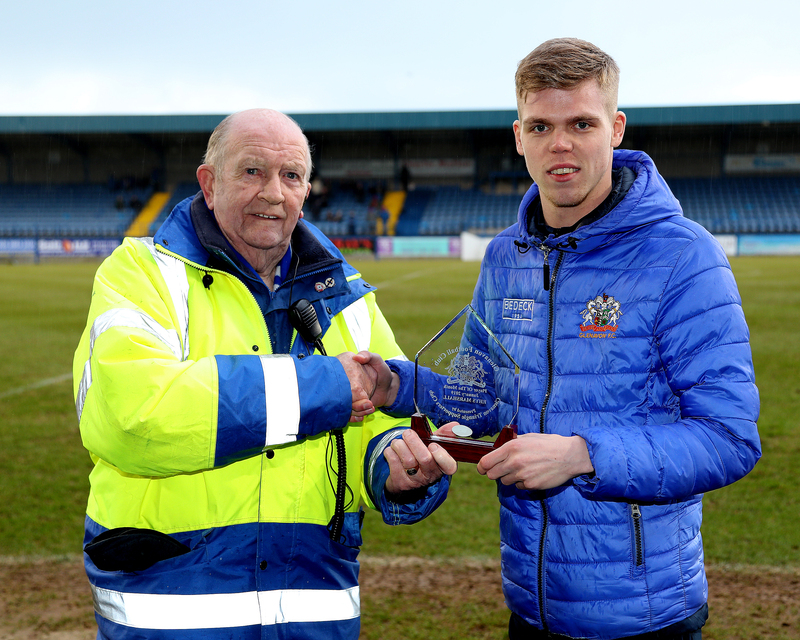 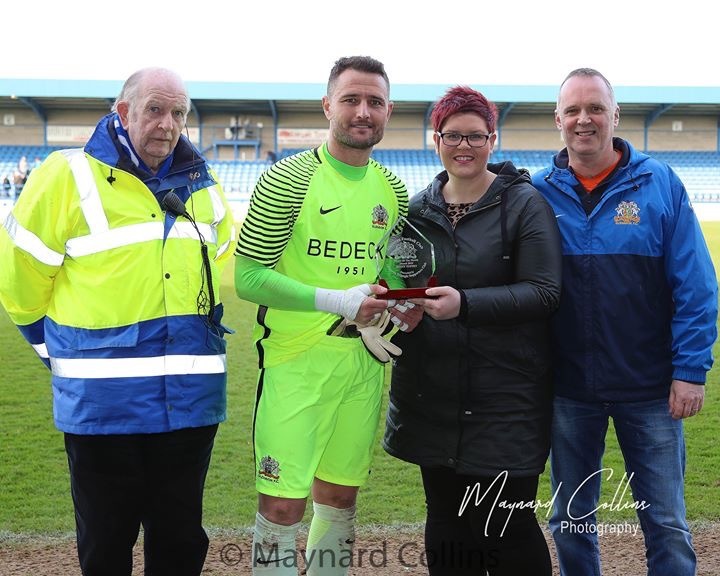 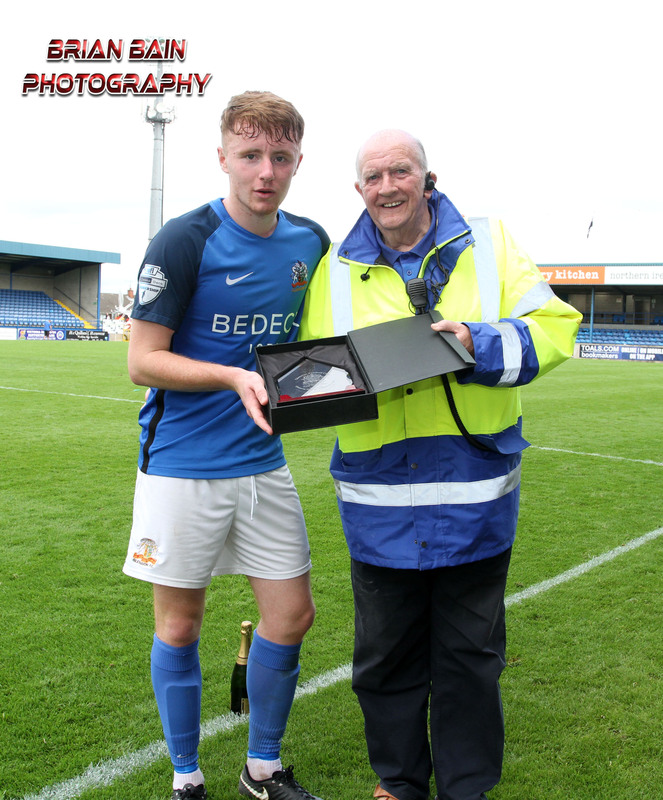 Young defender Caolan Marron has won the Glenavon Player of the Month Award for August. 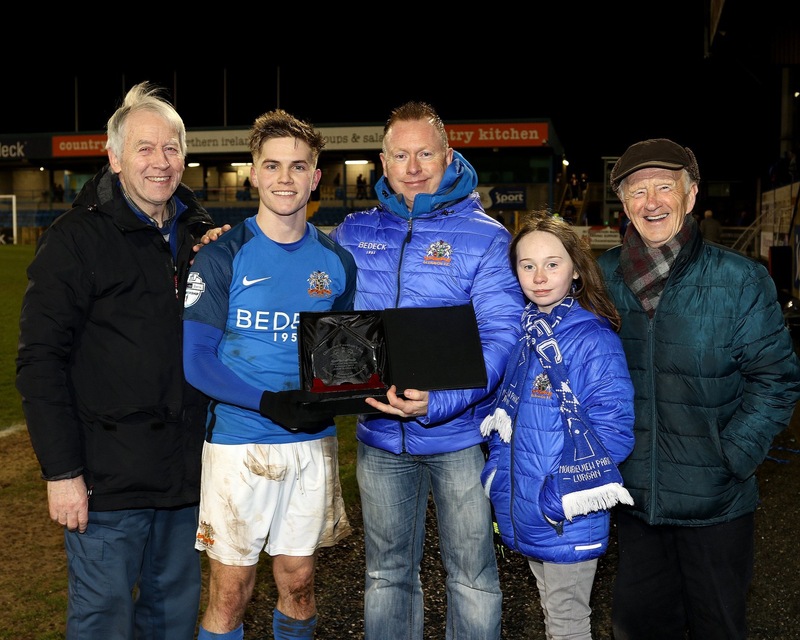 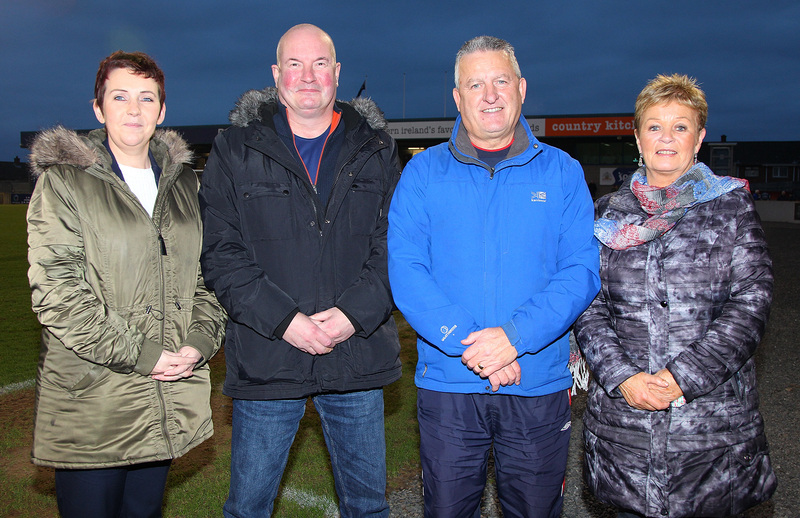 Caolan, who just turned 20 in July, was presented with his award by Raymond Flannagan on behalf of the Triangle GSC, after the game with Glentoran on Saturday. 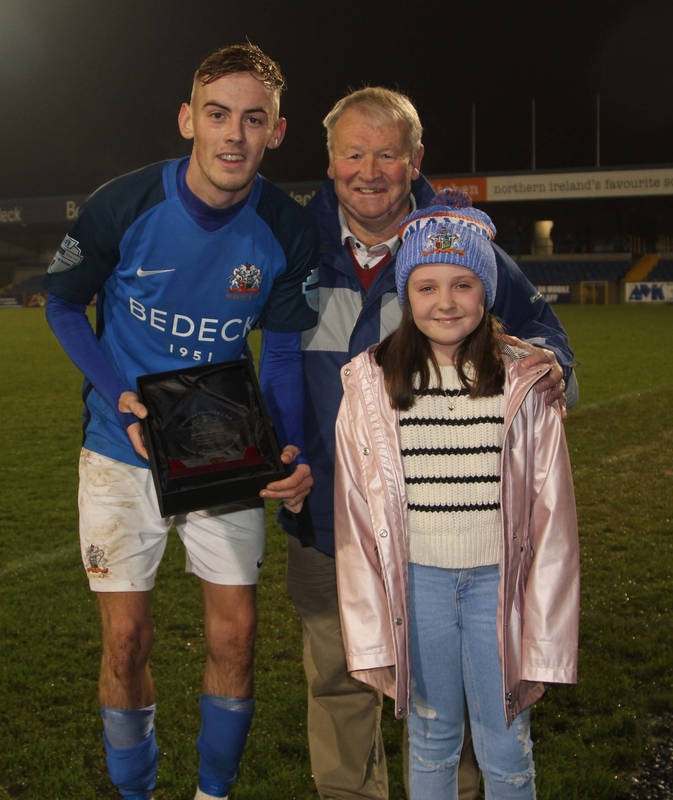 Caolan also scooped the MOM awards for his performance in that match and the 4-0 win against Ballymena United.